Our beloved Muffin Mare decided to dress up as our favorite purple Alicorn Princess this night mare night. Warning however, it is a sad story about bullying. 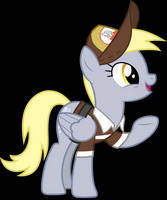 I though i would raise awareness by posting this under a vector of Derpy Hooves. If you want to use this vector in your own artwork, feel free to do so, but please credit me with the creation of this vector. Also send me a link to the artwork, im curius to see what you make with this. 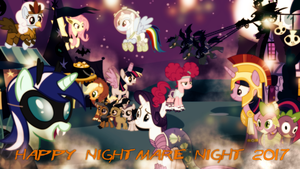 I would like you to make pictures of the Mane 6's Nightmare Night costumes from the first episode featuring Nightmare Night (I forget what it is called, but it is the episode where Princess Luna shows up in Ponyville). I was thinking of doing that at some point. If I find the time, that is. I LOVE THIS SO DAMN MUCH!!!!!! !